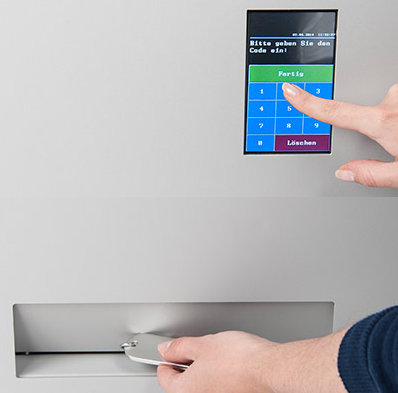 Check-in around the clock – our automated key system makes it possible. On arrival day from 15:00 clock. On the day of departure until 11:00 o’clock. The arrival of the guests is no longer bound to the reception opening hours. You can arrive at your convenience around the clock. If it is foreseeable that you arrive very late, please give us a call at (0049) 039219767830 and we will provide you a code. Upon your arrival, enter your code on our automated-key-system, located just outside our main entrance, in order to get your key.